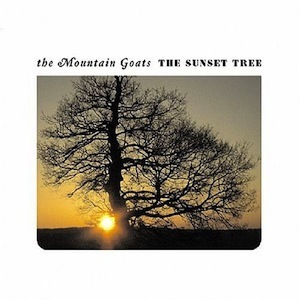 As anyone who pays the slightest bit of attention to today’s indie music scene knows, The Mountain Goats—John Darnielle’s main musical project—is fairly well known and respected in our little pretentious crowd. I had heard the name of the band a billion times, but it was really this video of Hold Steady front man Craig Finn that made me check out an album by the Goats. I love everything that Craig Finn does (except for Lifter Puller, it’s a little too deep for me), and I loved the song that I was hearing in that video too. I see why Craig Finn is friendly with this band. Both Craig Finn and John Darnielle’s groups put a big emphasis on vocals, even if the content of the songs aren’t too similar. They’re both great story-tellers, each in their own way. John Darnielle is a bit more serious with his music. I’ll need to listen to the album a few more times to really gather everything that is happening here lyrically. Apparently, there’s a lot about domestic violence going on. I guess a lot of that is hidden in metaphor that I didn’t pick up on initially. I was able to tell that these lyrics were not happy ones, though, as Darnielle’s delivery makes him seem almost depressed. One thing about this band is they don’t give you too much to focus on other than the lyrics. Most songs consist of just a couple layers of guitar at most, really allowing Darnielle’s vocals to shine. I’ll need to listen to this record a few more times before forming a proper opinion of it. ← Day 52: Oh No Oh My – Oh No! Oh My! Let’s talk about this Craig Finn thing? Lifter Puller isn’t that deep — just a little more obscure than THS. As for Mountain Goats v. HS — This Year is already almost a THS song. It has a reference to a specific street than no one has ever heard of, it has multiple alcohol references and it has a killer hook – “twin high maintenance machines” Craig Finn would have made that the chorus and it would have been a better song (he would have thrown in drug references too). When you write a gem like that, you need to polish it about 20 times during the song. When The Mountain Goats figure that out, we can start comparing them to The Hold Steady.